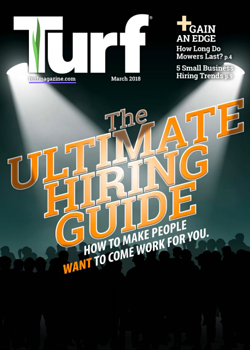 This article originally appeared in Turf Magazine, where Chad writes a monthly column offering sales and marketing tips for lawn care and landsape companies. Our society is bombarded with images. In the 1970’s, the average American saw 500 advertisements a day. In 2017, that number has increased tenfold. And that’s merely commercial advertisements, not to mention all the cat pics and selfies. Our brains can only absorb so much. In order to prioritize limited memory space, information is subconsciously sorted and many of these images are discarded. The old saying goes that “a picture’s worth a thousand words”. But when a prospective client sees your company’s images, will the first word in their brain be “Meh...”, triggering the mental garbage disposal? Stock photos of green lawns that are obviously not in their area….DELETE. Another typical patio with a half pallet of pavers sitting nearby on the dug-up lawn….DELETE. Blurry, underexposed landscape lighting shots...DELETE. Prospects are analyzing our work, our trucks, our people and every other possible image they can feed to their subconscious to make an informed decision about how you can help them accomplish their goals. Images are powerful. And conversely, they can also become completely useless. Since your prospect’s brain can only retain so much, anything that doesn’t clearly stand out gets discarded as advertising noise. The status quo won’t do. Only the exceptional, extraordinary, and unique will be etched into their conscious. Sometimes, we need to take a step back. Don’t just follow what you see most of your peers doing. In fact, look outside of the green industry. Think about other extremely successful companies. Are they using professional photography? Then why aren’t you? You tell your prospective clients this all the time. “You get what you pay for.” Why would you not take your own advice? Have you ever wanted to say, “Mr. Customer, put down the shovel and hedge shears. Trust me to get you what you’re really hoping for.”? Well, Mr. Landscaper...put down the tripod and take your finger off the shutter button. 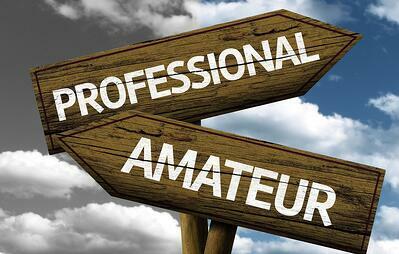 Do what you do best, and understand in order to be truly memorable, you can’t afford to look like an amateur or a company that’s cutting corners to save a little money. You may not think your prospects will pick up on it, but they will. Or at least when they see your competitor that invests in exceptional professional photography, they will notice that stark contrast. Our team looks at about 20-30 lawn and landscape companies’ websites each week. Every now and then a few stand out in an instant. I went to a couple of these innovative industry leaders to ask them to share their insights about how using professional photography has changed their businesses. 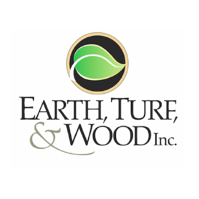 Jarod Hynson and his team at Earth, Turf, & Wood in Denver, PA specializes in high-end residential landscape design and installation. Take a trip over to their website and you’ll instantly see that this company’s work is anything but typical. As a business owner, Jarod tried his best to capture images of his projects when he could. However, after a hardscape manufacturer asked him to provide some images for their upcoming catalog, he realized that he had not gotten the shots as often as he should. Plus he was concerned his novice photography skills might not be worthy of the national stage. Hynson understood that using that same professional each year for a consistent look would be one of “the best things” he’s ever done to help grow his business over the next 10 years. 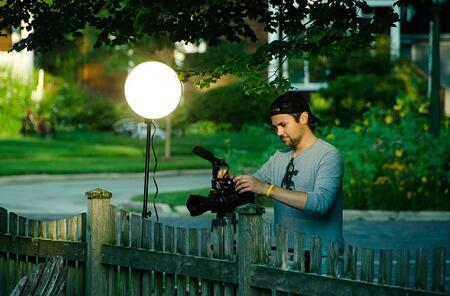 “We budget $6,000-$9,000 every year for photography, to shoot about 3-4 projects. That’s a drop in the bucket for a multi-million dollar company.” He also adds that even if companies aren’t performing at that level, they could choose to shoot at least one project and it would be money well spent. But homeowners aren’t the only targets for these visual marketing assets. 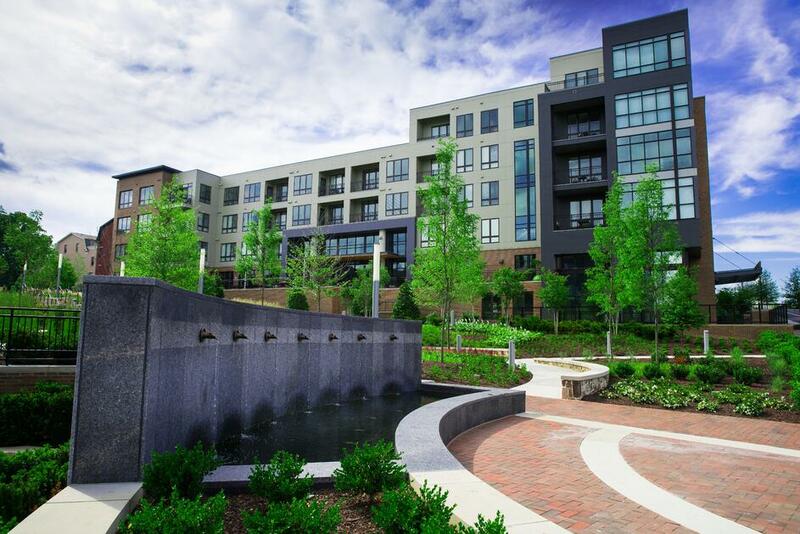 Commercial landscape companies like Level Green Landscaping in Upper Marlboro, MD makes it a regular part of their budget to include the services of a professional photographer. 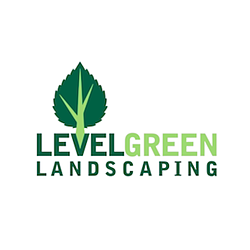 Each year, Level Green Landscaping has been allocating several thousands of dollars for new visual content. Using a photographer with lots of experience shooting for the green industry has made a world of difference in the end result. “It’s not just a matter of pulling up on a site and having someone snap some pictures.” The pro and Mayberry go over a detailed creative brief prior to their multiple-day shoot each year. The locations are planned, the sites are prepped, and there are contingency plans if the weather isn’t ideal. Mayberry is emphatic about using someone who understands the landscape industry. 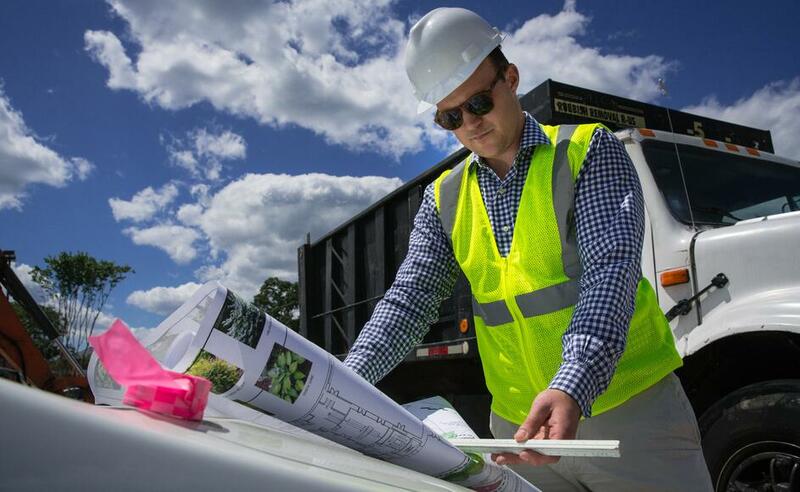 Items such as crews utilizing the proper protective equipment, how light interacts with landscape materials and exteriors of buildings, down to taking images from creative vantage points like balconies or even laying on the ground, are all details that a pro naturally considers. The value of using professionally shot images in your marketing efforts is extremely impactful. And finding the right professional will help you to maximize a regular investment and develop a long-term strategy to build a library of useful visual assets as you scale your company. Successfully creating and leveraging visual content in your marketing requires a deliberate and systematic approach only a pro can bring to the table. 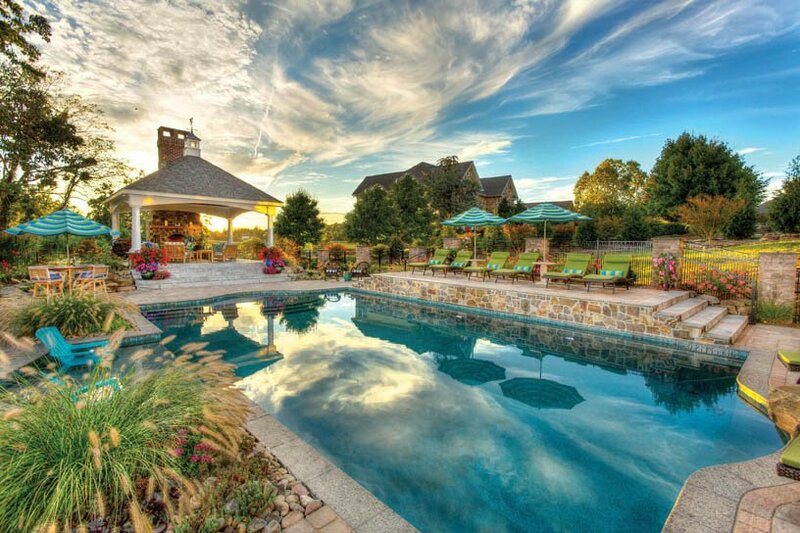 Without it, photography will be unmemorable and just more pictures of just another lawn or landscape. With so many of your competitors missing the mark with subpar images, you have an incredible opportunity to connect with your audience on a much deeper level. Budget for professional photography on an annual basis. Put a lot of thought into which types of images your company needs. Spend the time looking for a pro who has experience capturing images that will resonate with your specific audience. That’s how to be remembered, and how to make your pictures worth a thousand words and millions of dollars. Want more expert insight on how to grow your landscaping or lawn care business? Join almost 3,000 professionals that have subscribed to our blog for weekly articles delivered right to their inbox. If you'd like to talk more about how to get and use professional photography on a lead-generating website that creates regular business opportunties for your sales team, we'd love to learn more about your business. Feel free to schedule a meeting to discuss if there's a way we can help you. Chad is the Director of Client Success for Landscape Leadership. Prior to joining our team he served as a marketing manager for one of the Top 150 Companies in the Green Industry. 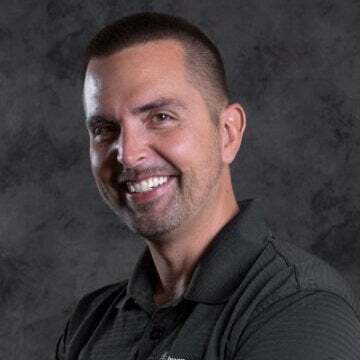 In addition to his vast marketing experience, he also has held certifications such as an ISA Certified Arborist and Landscape Industry Certified Technician. He currently resides in beautiful Lancaster County, PA.